Is This Billy Donovan's Worst Team Since 1998? 1998 was a long time ago. Steve Spurrier was still coaching football in Gainesville. AOL was how a lot of people were accessing the internet. I was still a student, working in the SID’s office with the women’s soccer team (sadly, RIP 2014 Florida soccer). Tuition was still somewhat affordable. And Billy Donovan was still an unknown. The hype with which Billy Ball arrived at UF was starting to fade a little after a 14-15 mark in 1997-1998 that saw his two-year record with the Gators hit 27-32. Luckily for us, Florida was a basketball afterthought back then. The fan base, if they paid attention at all, had zero expectations and were OK with letting a young coach learn and grow on the job for a few years despite embarrassing results. Of course, that season was the last one in which the Gators did not win at least 20 games. They’ve made the NCAA Tournament 14 out of 16 seasons since with eight Sweet Sixteens and four Final Fours. But even in those first two years or the two post ’04 years, the Gators weren’t as painful to watch as they have been to start this season. It isn’t because of effort that the 2014-15 season has a chance to be Florida’s worst since 1998. Through six games, these Gators battle hard. But hard work can’t overcome lack of skill on the big stage. 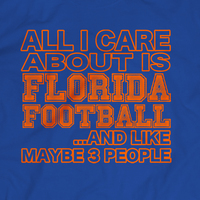 Florida’s offense is a train wreck. It seems they are often playing 2 or 3 vs 5 on the offensive end. The only player on the team who can create his own shot is Kasey Hill, and while he has come a long way and showed huge strides in the Bahamas, he’s still a very weak go-to-guy. And Hill is likely never going to be good enough to carry an offense by consistently hitting mid-range jumpers or getting layups at the rim. Michael Frazier’s early-season shooting slump will end but he’s not much more than a spot-up shooter (albeit perhaps the best one in Gators history) and will always be subject to streakiness and tough lockdown defense. Dorian Finney-Smith is a nice complimentary piece in a well-balanced offense, but in this offense, he’s a bad jump shooter with little space to attack the paint. If you look back to 1998, the Gators featured a decent offensive attack led by Greg Stolt and Kenyan Weaks and the occasional explosiveness of Jason Williams (until he was booted from the team for good). In the down years of 2007-2008, Nick Calathes could win games almost by himself and certainly had occasional contributions from Mo Speights, Chandler Parsons, Alex Tyus and Erving Walker. In fact, Donovan was notorious for an above-average offense that was usually let down by a suspect defense. This year, if Florida can’t find a way to score inside, they don’t have enough perimeter shooting to threaten 70 points (which they haven’t scored to date). It is shocking to see a Billy Donovan offense as bad as this one appears to be. If MFII isn’t on fire, the Gators frankly have no chance of matching buckets with a good team. I’ve mentioned Hill, Frazier and Doe-Doe. Jon Horford plays too far from the basket. Chris Walker has developed no offensive skills. Devin Robinson is as lost as any freshman under Donovan ever. Jacob Kurtz is a hustle guy with no discernible offensive skills. This isn’t to knock this team. No one expected greatness, especially early, after losing the best senior class in school history of Patric Young, Scottie Wilbekin, Casey Prather and Will Yeguete. There is no doubt they were overrated in preseason polls based on past successes. They’ll play hard and they’ll get better as the season progresses. But as bad as the SEC is, you have to wonder what their resume is going to look like even when they turn things around and improve. At this point in the season, those of us looking forward to basketball season to ease the pain of the football season might be in trouble. 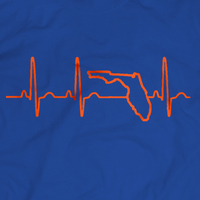 The NIT isn’t likely to salve Gator Nation’s wounds this year. And be prepared, this might be one of Billy’s worst teams ever if he can’t develop an offensive identity beyond jacking up long-range perimeter shots. The dark cloud over Gainesville continues and might be expanding. This entry was posted in Uncategorized and tagged Basketball, Billy Donovan, Chandler Parsons, Chris Walker, Florida Gators, football, Greg Stolt, Jason Williams, Kasey Hill, Michael Frazier, Nick Calathes, Patric Young, Steve Spurrier. Bookmark the permalink.